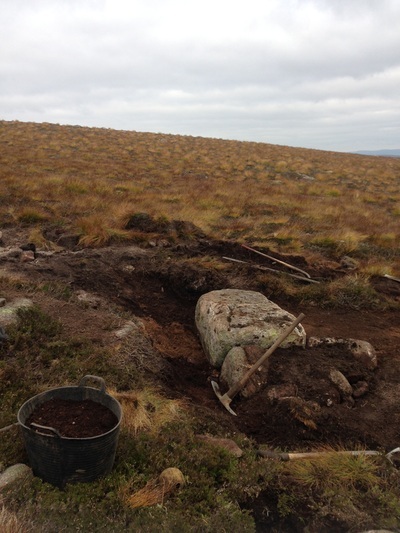 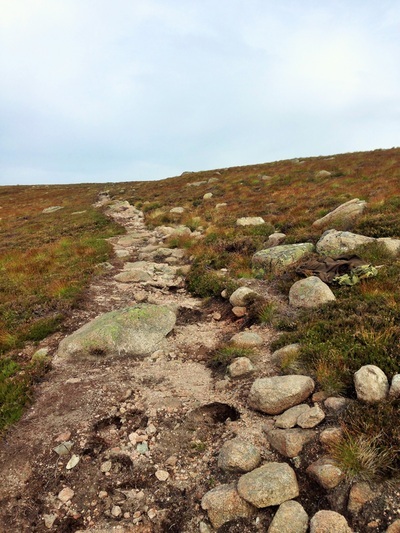 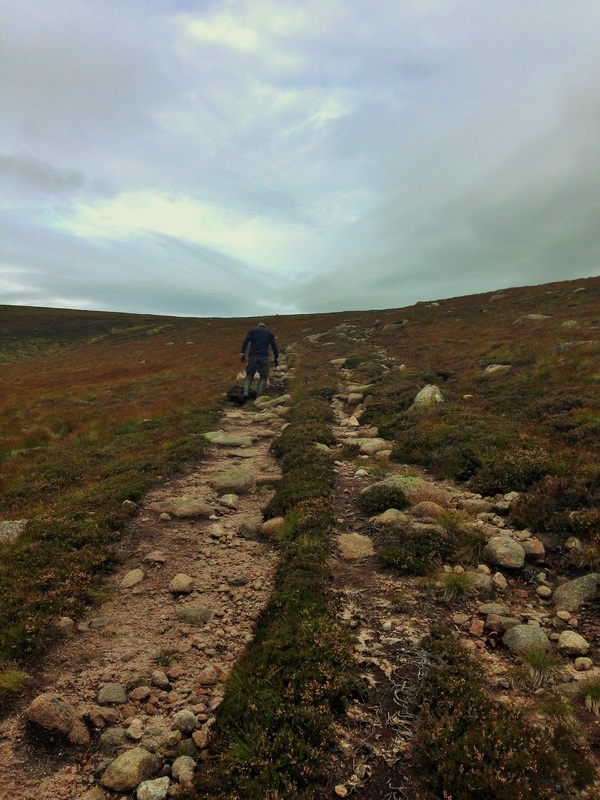 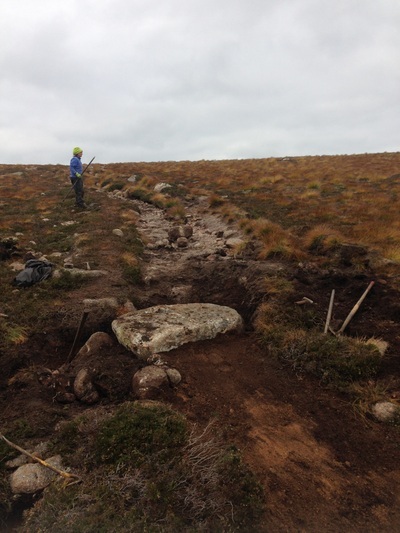 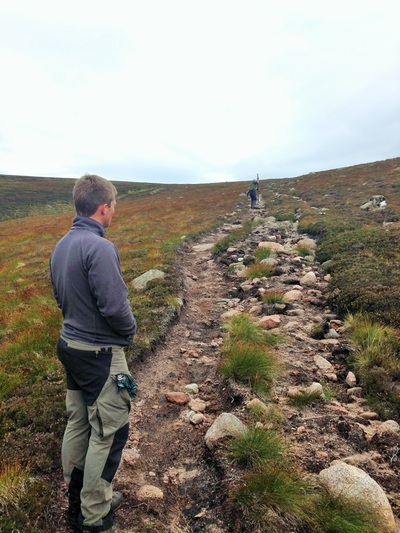 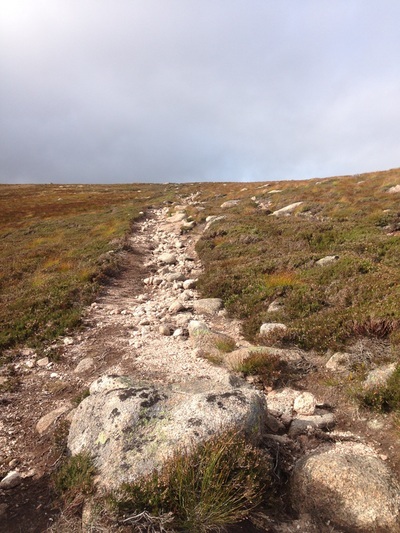 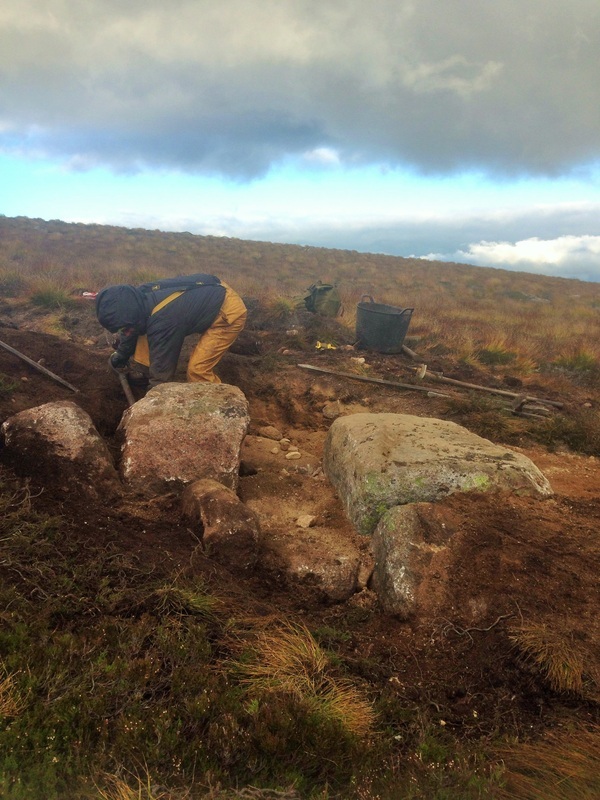 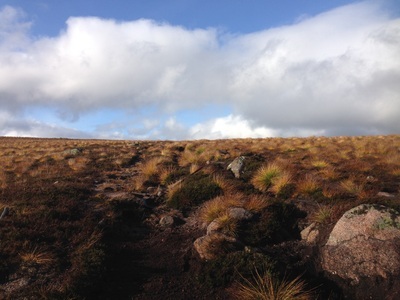 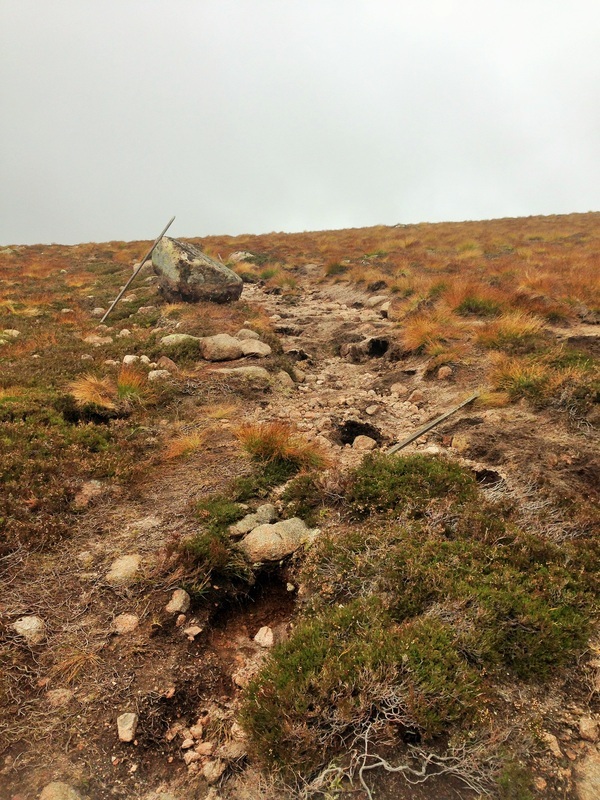 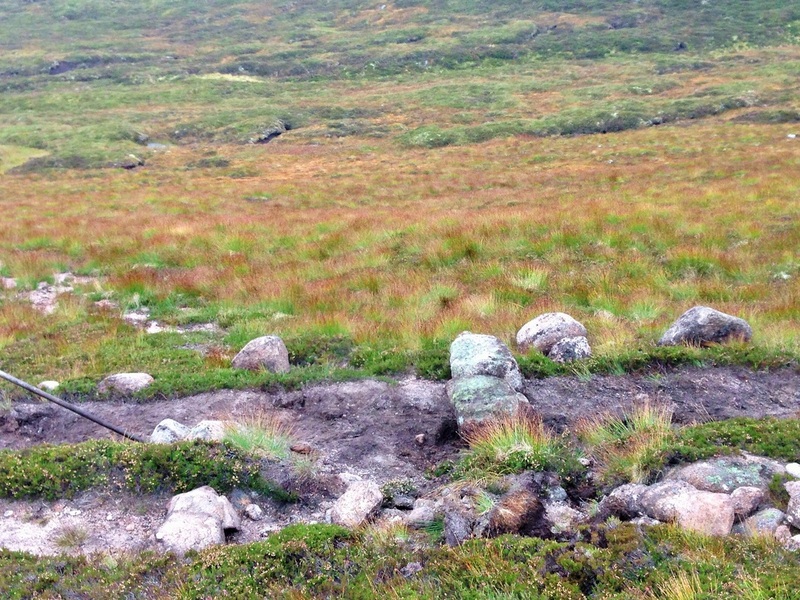 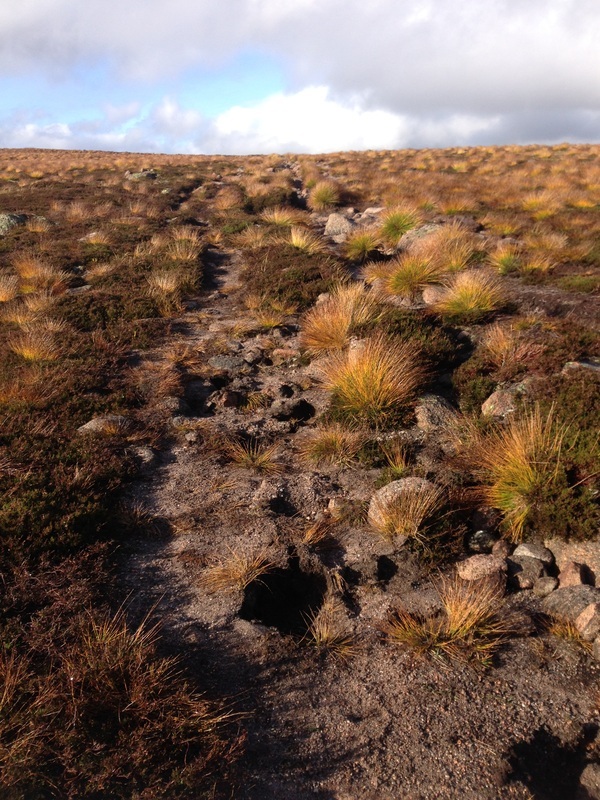 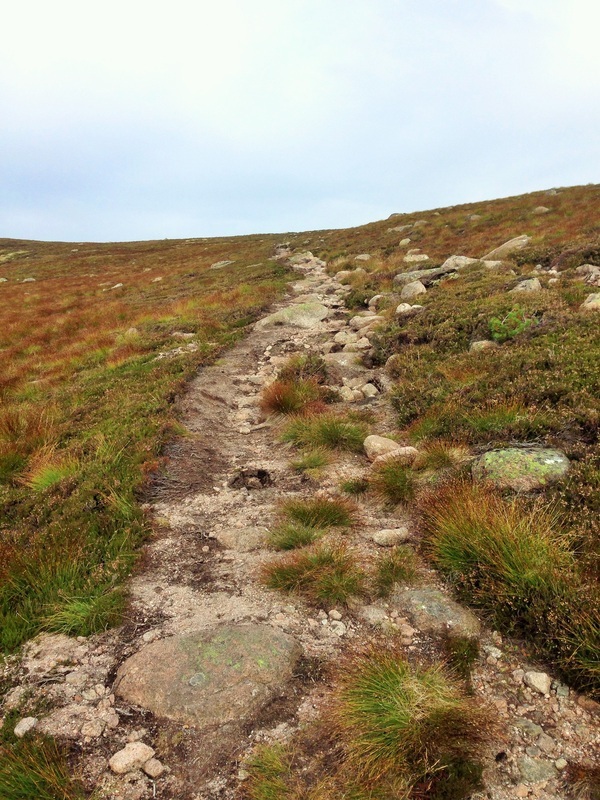 This is the second and final part of the job started towards the end of 2013, to hand build a path on the route from Bynack Mor to the Fords of A'an. A heavy build, the main problem on this site is the huge amount of water that collects and then flows down the cross slope above this site, this has to be blocked and then directed across the site through very large cross-drains. 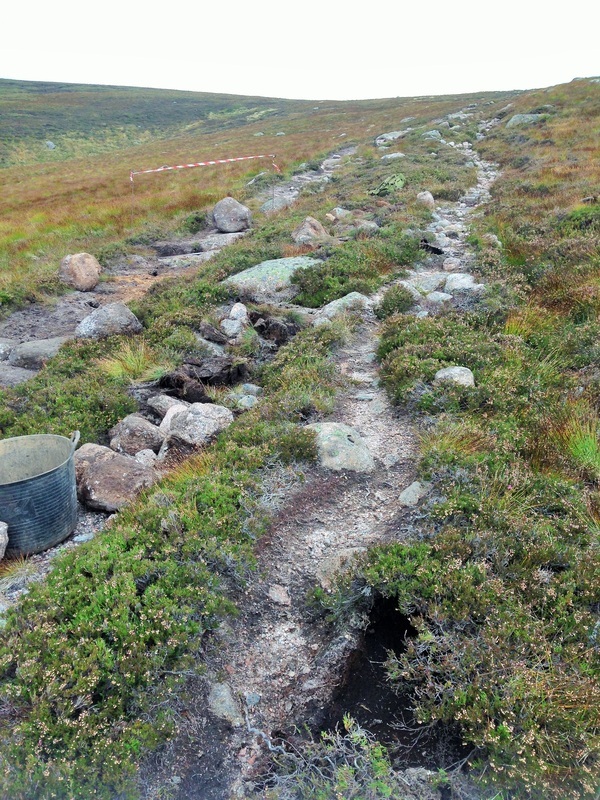 Towards the top of the site, the water flows directly down the path creating large gullies which run all the way down, the top gully was deepened and widened to create a top side drain and to win surfacing for the aggregate path without digging borrow pits everywhere, all stone used was won locally. 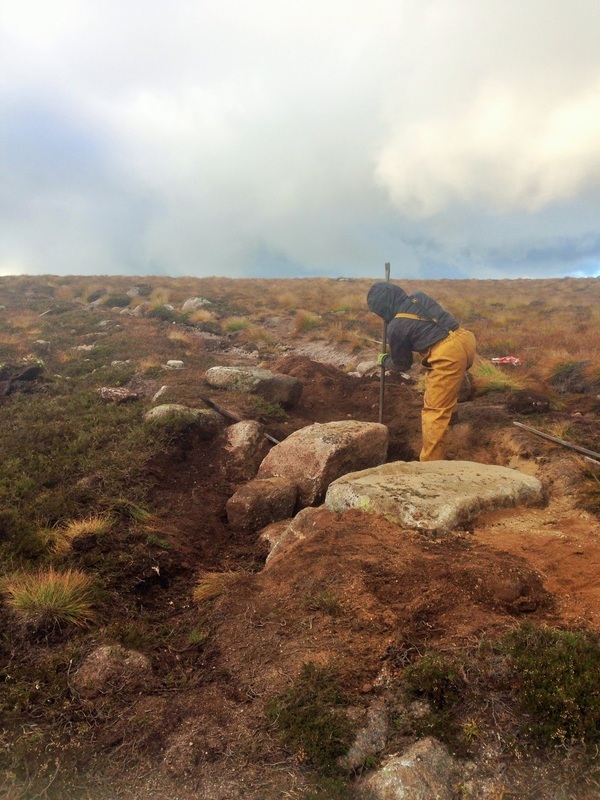 Small areas of pitching and regular anchor and water bars will hold the new surfacing and prevent wash out in the future. 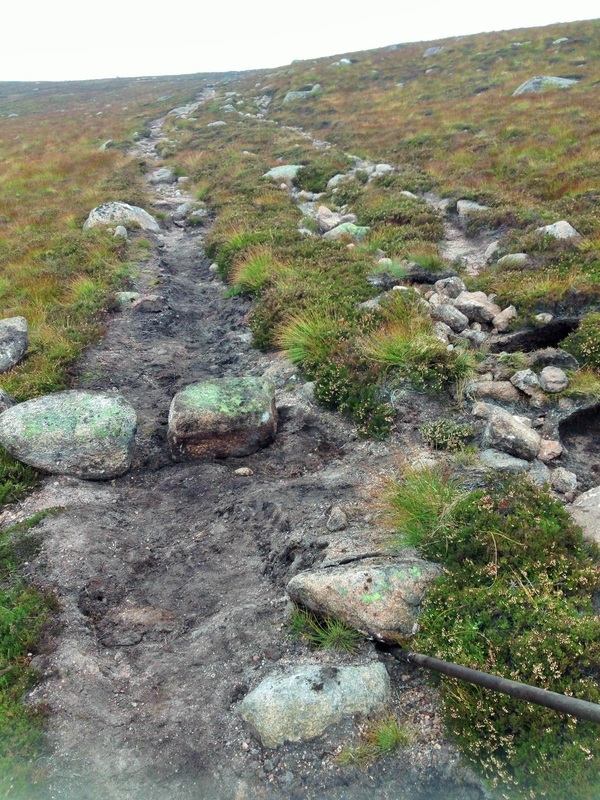 Looking up the damaged path. 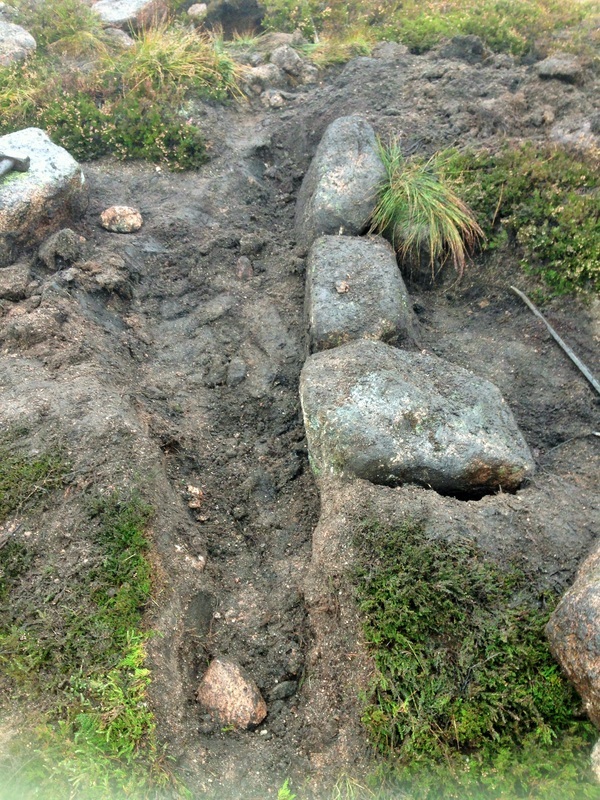 Erosion caused by footfall and surface water running down the path. 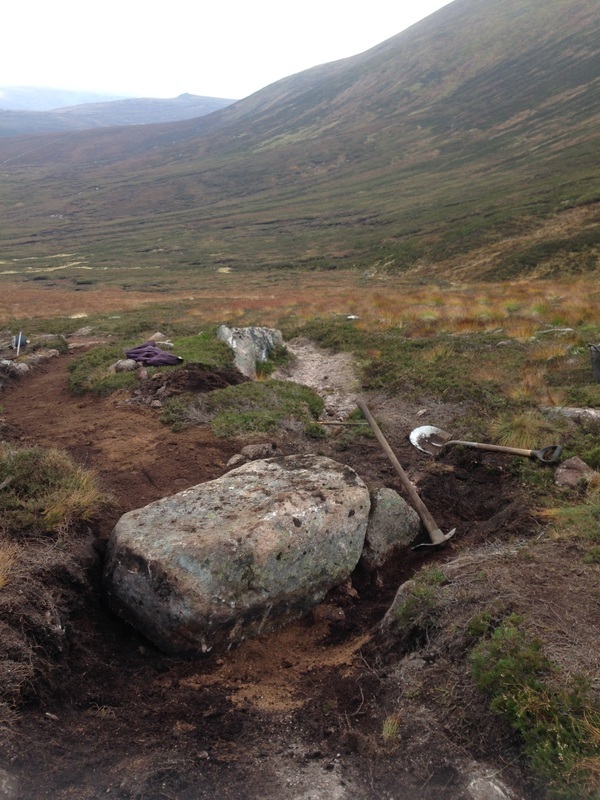 Starting to remove obstructions prior to cutting tray. Heavy erosion at the top of the path. Multiple braids. 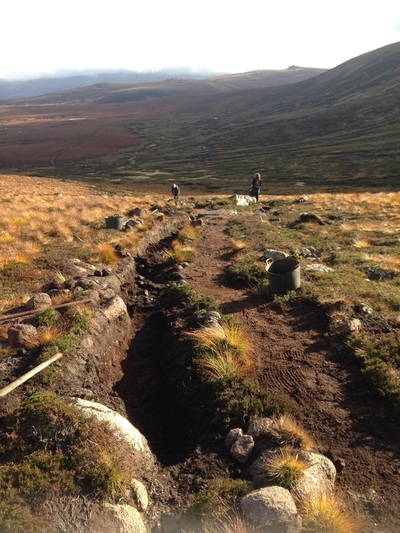 Left hand side will be the path, right hand side will be the drain, and the middle will be filled in and landscaped. 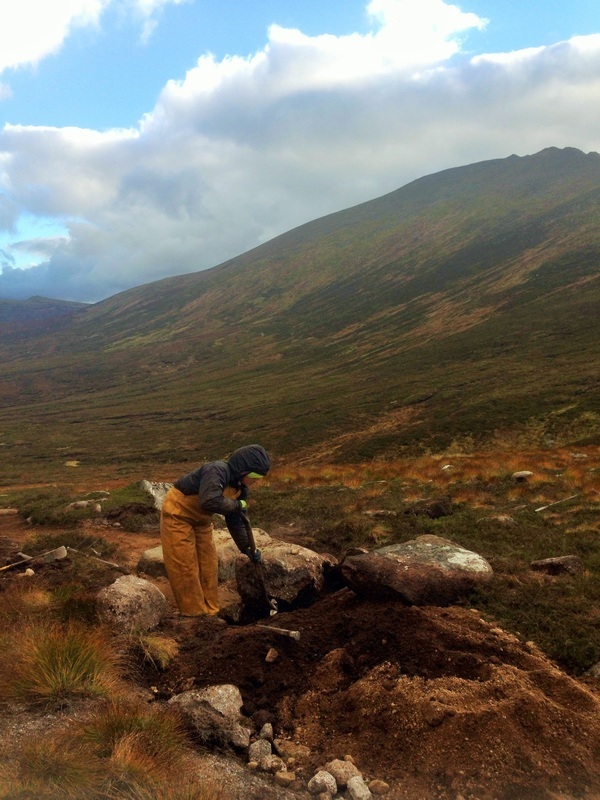 Sarah Lawther on work work placement with us from COAT. Collecting stone for one of the large cross drains. Another trainee, Carly Raine, on placement helping with the construction of the cross drain. 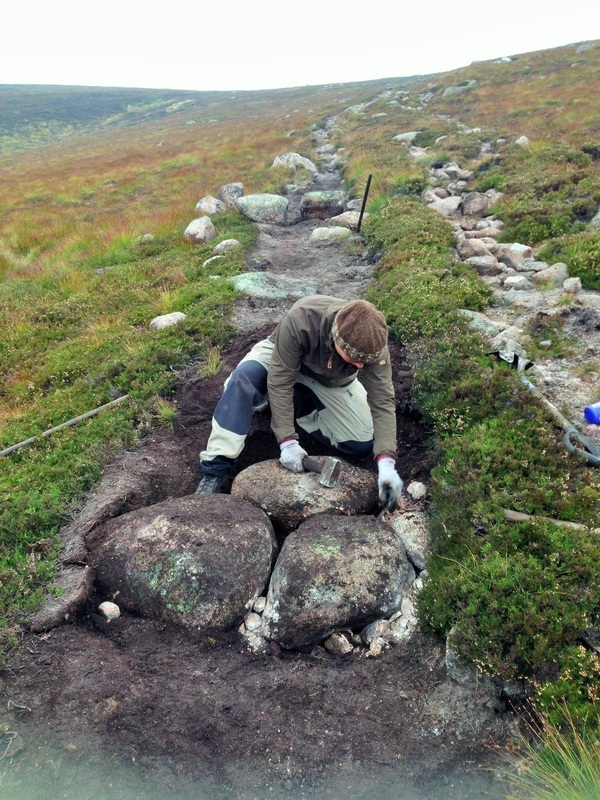 Side ditch and tray prepared. 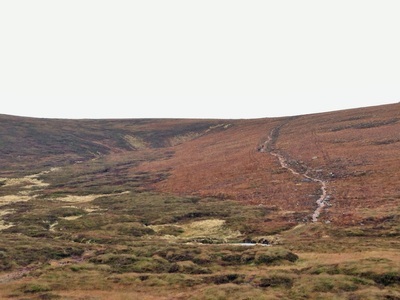 The view of the completed path from the burn crossing.